There are two kinds of medical aid schemes, those with closed membership and those that are open to all applicants. So-called closed medical aid schemes are those that are restricted to the employees of a specific industry or company, e.g. Transmed for the employees of the Transnet Group and its subsidiaries, and GEMS (Government Employees Medical Scheme) for government workers, whereas so-called open medical aid schemes are those to which any person, regardless of their race, age, health, employment, etc can belong upon payment of a subscription, e.g. Momentum Health Medical Scheme or Discovery Health Medical Scheme. Historically, medical aid schemes in South Africa were closed or employer-based. This picture started to change in the 1980s. Of the 110 medical aid companies or schemes registered in South Africa by 2009, 77 were closed or employer-based, while 33 were open to the public. This number is likely to become smaller as more medical schemes amalgamate or larger schemes take over smaller ones. In addition to medical aid schemes, there are also so-called medical benefit schemes, generally cheaper than medical aid schemes but also offering more limited cover, and so-called hospital plans, which is essentially an insurance policy for hospitalisation. Open medical aid schemes are compelled by law, in terms of the Medical Schemes Act, 1998, to accept any person who wishes to join the scheme, as well as their dependants. Furthermore, they are also required by law to treat all their members equally – this is known as the “community rating”, and refers to the fact that all members on a particular benefit option or “plan” are charged the same contribution and enjoy the same benefits. You are therefore free to shop around for the best package for you and your family’s needs and, with growing competition among South Africa’s medical aid schemes, it is worth comparing different options. While some medical aids are administered in-house, other medical aids rely on third-party administrators who perform all the essential administrative functions necessary for the proper functioning of the scheme. While medical aid schemes are not profit-driven, administrators are. 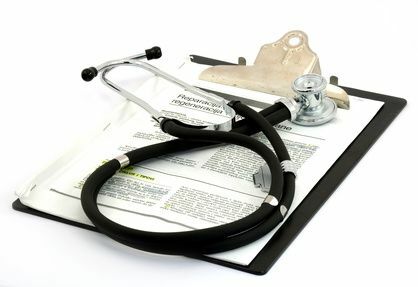 There are two kinds of health care brokers or agents: Independent advisors or so-called corporate brokers, who are not affiliated to a particular medical scheme, and marketing agents, who are attached to a medical scheme or group of schemes and promote that scheme’s products exclusively. When choosing a particular medical scheme, you will typically weigh up the cost of different types of cover against the benefits provided by different types of cover. Basic medical aid will usually provide for health care costs such as examinations, tests, X-rays, immunizations, hospitalisation and emergency care. Comprehensive cover may include dental care, vision care and natural therapies. One of the main differences between various medical schemes is the cover that you would have with regard to specialists and other suppliers when hospitalised. After considering the level of cover that you and your dependants require and what you can afford to spend on medical cover, you can investigate the packages and benefits offered by reputable medical schemes and make an informed choice that will suit you and your dependants.